This is a very basic problem with a little pointer manipulation. Write code that builds the following little 4-1-3 binary search tree. See the below code snippet to create the tree with the above data. Build 123 by calling InsertNewNode () three times. 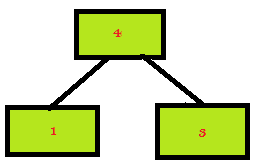 Second, how to get the size of the binary tree in C++? Here is the scenario how to get the size of the binary tree.